No green thumb or yard space needed- create your own sustainable eco-system with a DIY terrarium. 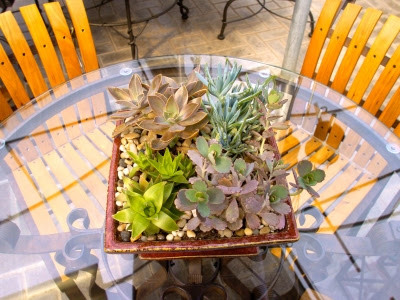 The perfect option for us LA folk without much yard space, Jessica will explain all you need to know about succulents, cacti, and desert plants. Design a terrarium in a dish or vase and keep for yourself or gift it! All plants & containers for terrariums included, plus a take-home reference chart, plant care guide, and refreshments to sip on while you work!